Time Allowed: 375 meters per minute. Each competitor will jump one round over a course of approximately 12 to 15 jumps. The first round and first jump-off, if any, are decided by adding together the penalties incurred over the course and any penalties for exceeding the time allowed to complete the course. In the event of equality of penalties after the initial round, for first place only, there will be one jump-off in which time will decide. In ties other than first place, competitors are placed according to their penalties and time in the first round. Eligibility: To be eligible, horses must be on the show grounds for the 24 hours prior. Poling and the use of offsets will not be permitted for any jumpers on the show grounds. Awards: Trophy to First Place; Ribbons to Twelfth Place. Prize Money: $25,000 divided as 30% for 1st, 22% for 2nd, 13% for 3rd, 8% for 4th, 6% for 5th, 5% for 6th, 4% for 7th, 3% for 8th and 9th, 2% for 10th, 11th, and 12th place. The Markel Insurance 1.45m Jumper Series Final will be held at the 2019 Las Vegas National Horse Show (November 13 – 18). 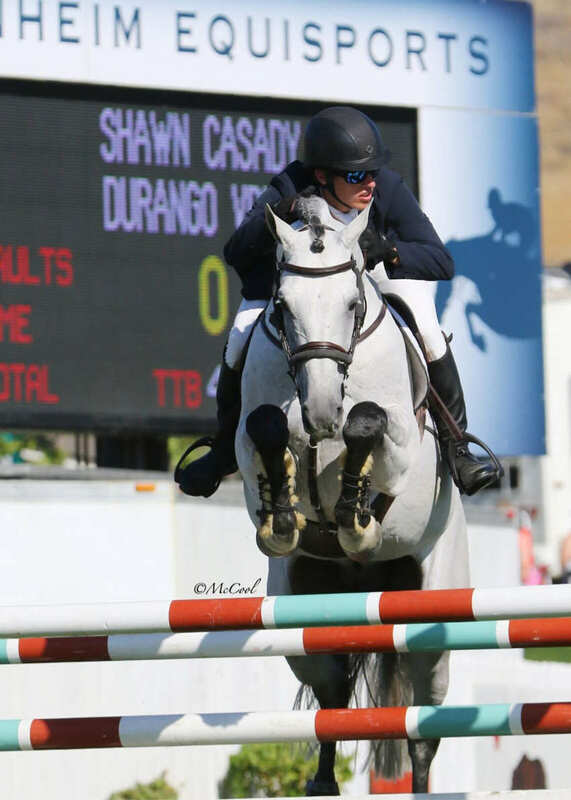 The top 25 riders from the 2019 Markel Insurance Jumper Series Qualifiers will be eligible for the Final. Riders will receive qualifying points per class based on their top placing horse only. Points in the qualifiers will be awarded based on the number of entries in each qualifier. First place will be awarded one more point than the number of entries in the class, second place will be awarded one less point than the number of entries in the class, third place one less than second place, fourth place one less than third, etc. Riders may compete on any horse; Order of Go is based on Rider Ranking – the rider with the most points competes last. Final Prize Money: $30,000 minimum base purse plus $50 added back to final purse from each entry per qualifier throughout qualifying season; 30% for 1st, 22% for 2nd, 13% for 3rd, 8% for 4th, 6% for 5th, 5% for 6th, 4% for 7th, 3% for 8th and 9th, 2% for 10th, 11th, and 12th place. Entry Fee: $600; Fence Height: American Standard.